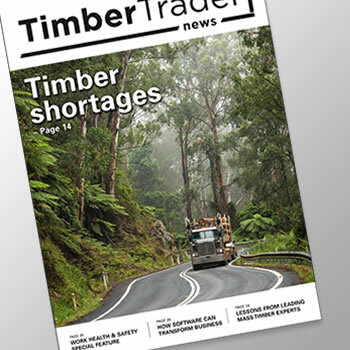 TimberTrader News, the monthly news magazine for the timber, hardware and building materials industry, was established and first printed in October 1985 by founder Greg King. TimberTrader News is a truly national marketing and promotional magazine with major emphasis on the news, views, information and latest developments within our sector of the timber, hardware and building materials industry. The magazine promotes the interests of timber as a sustainable building and construction material as well as the truthful edification of its members. Our readers include timber merchants, hardware stores and building materials centres; timber flooring specialists; pallet & box makers; timber window and door manufacturers; roof truss and wall frame fabricators; and their appropriate suppliers.